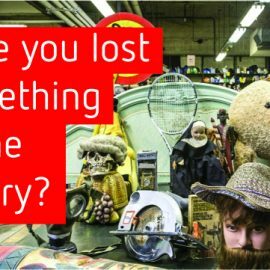 Have you lost something in the library? We know what it’s like, you’re spending so much time working hard in the library that inevitably something gets left behind when you dash off. Phones, jumpers, USBs, water bottles, bags, wallets, hats, gloves, food, shoes, keys, money, glasses etc etc! It gets logged and added to a list where you can see if anything you’ve lost has been found! “Where’s this list?” I hear you ask. Well, you’ll find it on MyHallam just here. What you don’t find on the list you can still ask at either library reception. All items are kept for 2 months before being disposed of, except clothing which is donated to the Cathedral Archer Project helping the homeless and vulnerable in society. *We don’t log hats, gloves and scarves and any food items [including lunch boxes] are thrown away.